If you are interested in learning more about the unique Zhongshan Subor Z+ hybrid PC games console which combines x86 CPUs and Radeon GPU technology, check out the videos below which provide early benchmarking results and a complete and boxing as well as an overview of what you can expect from the hardware. 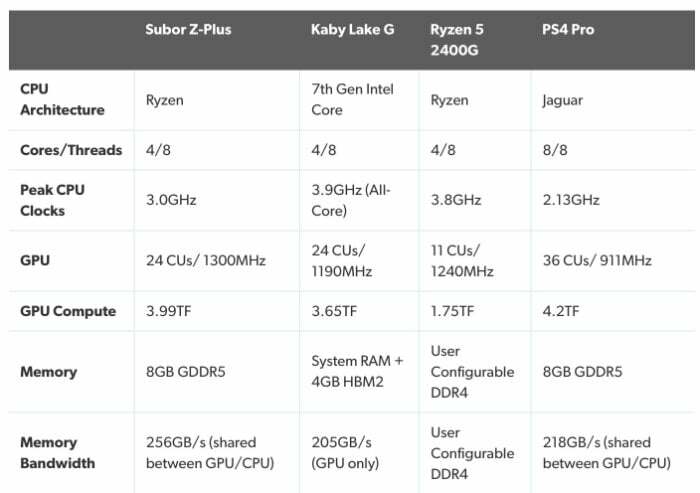 Below is a specification comparison table to give you some idea of what you can expect from the performance and components integrated into the Zhongshan Subor Z+ PC console. 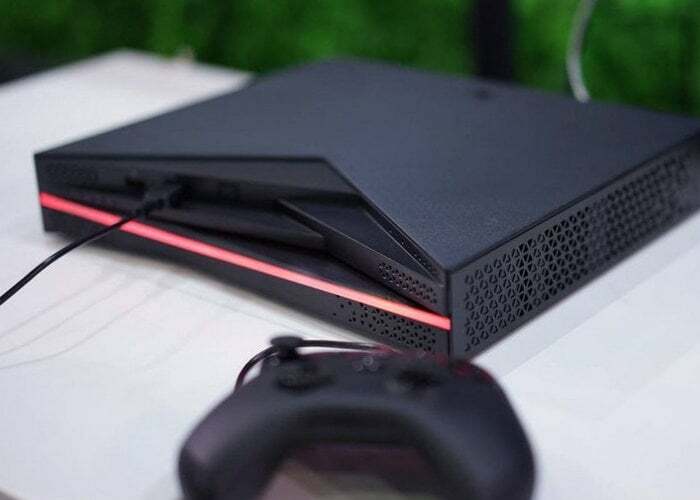 The Z Plus has an AMD SoC, which means the integrated CPU and GPU cannot be upgraded and neither can the 8GBs of onboard GDDR5 memory. However, storage can be easily upgraded via front section of the console which is easily removed, providingquick access to two 2.5-inch SATA drives. The unit unboxed by Digital Foundry includes a 128GB SSD for the OS and a 1TB Toshiba mechanical drive – and both of them can be swiftly exchanged for superior storage solutions. Unfortunately, no information on pricing or worldwide availability has been released as yet, but as soon as information comes to light, we will keep you updated as always. for more information in the meantime jump over to the Digital Foundry and Eurogamer website by following the link below.